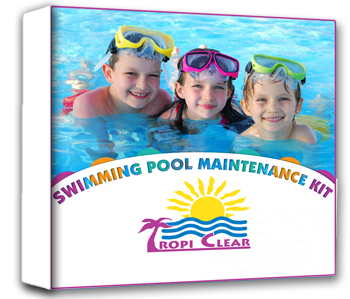 TropiClear has introduced a BRAND NEW product, the Swimming Pool Maintenance Kit. Designed for builders to leave-behind at new pools or as part of a service package, the TropiClear Maintenance Kit includes all the essentials for keeping a swimming pool sparkling. Visit our TropiClear Maintenance Kit webpage or contact your Export Manager for additional information.